Capsules in Storage at Korolev. Picture taken on the second floor of the NPO Energia museum around 1990. Years later they had disappeared. Where are they now? Designations of Russian ballistic missiles, launch vehicles, and spacecraft. The designations of Soviet missiles, launch vehicles, and spacecraft were considered state secrets. Therefore as long as that state existed very few of the designations were made public. During the Cold War the missiles were referred to by a sequential code assigned by the US Central Inteligence Agency or by a code name assigned by the NATO ASCC Reporting Committee. The CIA codes consisted of letters indicating the role of the missile followed by a number assigned in the sequence in which the missile was detected (usually by telemetry intercepted during missile tests). See Aleksey Martinov's Designations Of Soviet and Russian Military Aircraft and Missiles at Andreas Parsch's designation-systems.net for a complete listing. Whatever true designations became known to the western intelligence agencies were not made public in order to conceal intelligence 'sources and methods'. This suited the Soviets. In order to preserve their state secrets they went so far as to use the CIA designations for their missiles in the 1972 SALT-1 Treaty. During the SALT-2 and INF treaty negotiations the US side pressed for true Soviet designations to be used. The Soviets eventually obliged by creating a bogus series of 'RS' designations. These were perversely assigned similar to an existing real designation system but in a slightly different sequence. The 'secret' designation for large ballistic missiles and space launchers consisted of the letter R followed by a sequential number, followed by letters indicating a modification to the basic design (e.g. R-1, R-2, R-3, R-5; R-5M for modernised or maritime version, R-14U for universal version, etc.). This number sequence originated in the late 1940's and was shared between a Russian team under Chief Designer Korolev and a 'guest' German team under Groettrup. The German team knew their own designs only under a 'public' system of 'G' (for Groettrup) numbers. Unknown to them, the designs had a parallel secret 'R-' designation. The first two designs, the R-1 and R-2, were joint efforts. Korolev made sure he had the 'lucky' odd numbers (R-3, R-5, R-7, R-9, R-11, but not R-13! ), while the Germans were assigned numbers beginning with 10 (R-10, R-12 through R-15). By the mid-1950's the German group was disbanded and additional Russian design bureaux were set up for rocket design (Glushko, Makeyev, Yangel). The lower even 'R-' numbers were reassigned to German designs and the unused designations from R-8 and up were re-used for the designs of the new bureaux . A second sequence was begun for solid propellant missiles with the 'RT-' prefix in the late 1950's when development of these began (raketa toplivniy, solid fuel rocket). A series for orbital weapons launchers (GR-, 'global rocket') was begun but the only missile deployed in this system retained its R- designation (R-36-O, 'O' for 'orbital'). In the 1960's consistent use of the sequence began to break down after 39 numbers had been allocated. The Chief Designers wanted to 'trademark' their designs with unique designation series. First, Chelomei introduced his own sequence of 'UR-' (universal rocket) designations. Korolev introduced his 'N' sequence for future space launchers (N=nositel = carrier rocket). Yangel, taking a leaf from Boeing, decided to 'trademark' his rockets by using the series R-16, R-26, R-36, R-46, R-56 for major projects. Thus he skipped ahead, leaving whole blocks of numbers unused. Nadiradze began his own series of solid propellant rockets with the 'Temp-' designation. The assignment of new numbers within this system ended with the reorganisation of the Soviet missile industry in 1966. Thereafter missiles replacing earlier designs given suffix letters indicating modification of an existing design, even if the missile was completely new. There were hints of this system in the West from the late 1960's when histories of Soviet rocketry would refer to older designs by these numbers. The most notable example was the term 'semyorka' or 'good ol' number seven' used for the R-7 rocket that launched Sputnik. Furthermore designations announced for scientific sounding rockets (V =vertikal) derived from military designs retained their sequence (e.g. V1 = R-1, V2 = R-2, V5 = R-5). The 'secret' rocket designations are given below. The 'public' designation may be considered the 'real' designation of the rocket. An example of such a number was first explicitly revealed in the book Inside the Soviet Army by the defector "Suvorov" in 1983. On page 127 he reveals both the secret and public designations for the UR-100 / 8K84 ICBM (known to the west as the SS-11 Sego). 8K84 was the number actually used for configuration control and to assign part number sequences for sub-components of the system. This was the reason it was known as the 'public' designation - because the number itself would be known to hundreds of thousands of workers across the Soviet Union. They wouldn't necessarily know what the part they were working on would go into, but they would know that it was for 'article' 8K84. Of course a missile can be considered at many levels of integration. At the top level there is the entire system - not just the missile itself but its launcher or silo, and associated control or guidance facilities. There is the missile itself, which in later Soviet practice was integrated with a sealed container, ready to be fired at short notice over a guaranteed lifetime measured in decades. Next was the missile as it actually flew through the air. Then there were the modular sub-components of the rocket - such as its warhead, guidance system, separate stages, and engines. A final level below this would be the components - structural elements, engine and electronic system components, and so on. 8 = Army missile forces in the 1950's and thereafter the Strategic Rocket Forces (RVSN) until 1966). A - prior to 1966 possibly standing for an unfuelled agregat, assembly. After 1966 meaning ampulozirovanniy, for sealed unit. M - used for smaller and naval missiles. The M may stand for maritime or modular (not missile, which has no cognate word in Russian!). Often Army and Navy missiles have a 'K' number for a level of assembly of the missile above the actual flyaway unit, and a similar or different 'M' number for the missile itself. Or this may only indicate that during its life various models of the missile may have received designations in two different series as the bureaucracy shifted. Zh - used for solid propellant missiles. The Zh may be keyed to zharko, hot. Ya - used for strategic aurface-to-air or anti-ballistc missiles. Possibly standing for a yaderniy, or nuclear, indicating the missile can be tipped with a nuclear warhead or is to be used against incoming nuclear warheads. V - equivalent to A, but used for surface-to-air missiles. Possibly standing for a vertikal, or vertically-ascending missile. F - the warhead or payload. 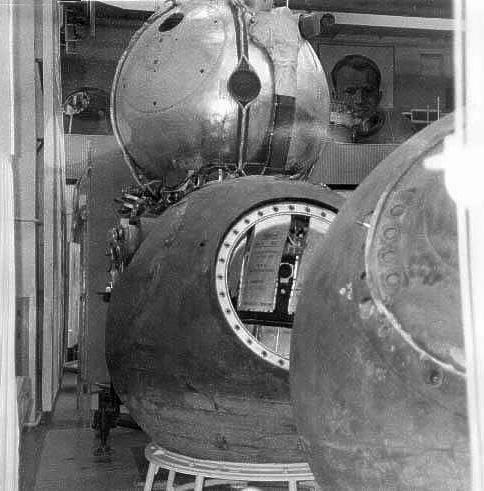 Possibly standing for a funktsionalniy gruz, or functional payload (15F842 in the case of the 8K84). S - a stage (stuplen) of the rocket (8S816 and 8S817 for the first and second stages of the 8K84),. P - the launcher or silo unit (puskovaya ustanovka). For the 8K84, the silo-launcher had the designation 15P784 . Kh - used for early warning satellites. A two digit sequential number. These were allocated within a single product group (for example, there is one sequence for 8K/11K rockets, one for 15A/15Zh rockets, one for 11F/14F/17F spacecraft). For subsystems an attempt was made to relate this to the top level number. Numbers divisible by 10 were originally not used to prevent confusion with numerical suffixes. This changed after 1966. An alphabetical suffix - This was used to differentiate submodels. Typical suffixes were 'M' (modernised or maritime), U (universal model for use in several different launchers), F (forced, e.g. uprated). Finally at the component level a unique part number would be assigned to each separately fabricated component that could be traced back to the final article. For example the transport container for the 8K84 (considered an integral part of the missile itself) was designated 8K849510. A bracket from a Scud missile that fell on Riyadh, melted from re-entry heat, bears the part number 8K14-3170-370, relating it right back to the original 8K14 R-11 design of 1953. 10's: KB Yuzhnoye liquid propellant missiles. There is a strong Russian belief that odd numbers are lucky. Korolev's precedence can be seen in the original number allocation. The much slower pace of missile development after 1966 meant that few of the numbers in the blocks allocated were used. 8K11 R-1 Korolev SS-1A Scunner Soviet production copy of the German V-2. There was evidently a series of numbers ranging from 8K11 to at least 8K14 for the earliest missile designs. 8K14 R-11 Makeyev SS-1C Scud B Early production version of the Scud. Later models used Army numbers in the 9K range. 8Zh38 R-2 Korolev SS-2 Sibling The R-2 doubled the range of the R-1 and was equipped with a deadly radiological warhead. The 'Zh' letter code only appears this once, then is not used for rockets again until applied to solid propellant missiles in the late 1960's. 8A63 R-3A Korolev So much new technology was involved for the R-3 that it was deemed necessary to build an R-3A intermediate experimental rocket. This was never completed. The 8K63 designation was reused for Yangel's R-12, which went into service and fulfilled much the same requirement. Again the designation is curious for use of the 'A' letter code, which was not used again until the late 1960's. It seems there may have been a '60' sequence applied to some Korolev designs that was later reassigned to Yangel's bureau. 8A67 R-3 Korolev Development of the long-range R-3 missile was authorised in April 1947. But the long-range technology was beyond the Soviets at that time. The project was eventually cancelled and they leap-frogged to the R-7 ICBM. The 8K67 designation was reused for Yangel's R-36 ICBM in the 1960's. 11K25 Energia Korolev SL-17 The Energia-Buran Reusable Space System (MKS) was developed from 1976 as a system that would duplicate the capabilities of the US shuttle system. The sequence number seems not to fit into either the pre-1966 or post-1966 series..
11K77 Zenit-2 Yuzhnoye SL-16 Zenit was to be a modular new generation medium Soviet launch vehicle, replacing the various ICBM-derived launch vehicles in use since the 1960's. The first stage served as the liquid-fuel booster for the Energia. The sequence number seems not to fit into either the pre-1966 or post-1966 series..
R-1 SS-1A Scunner 8K11 Soviet production copy of the German V-2, in service from 1953. R-2 SS-2 Sibling 8Zh38 Development of the R-1 with double the range and a deadly radiological warhead. R-3 Korolev design for a long-range missile that exceeded the limits of Soviet technology of the time. Abandoned. R-4 G-1 Designation given to Groettrup's 600 km range design. R-6 G-2 Groettrup's design for an IRBM with a 2500 km range. R-7 SS-6 Sapwood 8K71 Korolev design for the world's first ICBM and first orbital launch vehicle. The 8K71 version was never actually put into military service, being succeeded by the R-7A 8K74. R-8 Originally used for Groettrup G-1M/G-3 IRBM design. Reused for 1956 Glushko project for a multistage 650t ICBM powered by Lox/UDMH. R-9 SS-8 Sasin 8K75 Second generation ICBM developed by Korolev using liquid oxygen/kerosene propellants. R-10 G-1 Original designation given to Groettrup's G-1 600 km range rocket designed. Reused for a Glushko 1500 tonne space booster design advoated by Glushko in competiton with Korolev's N-1. R-11 SS-1B Scud 8K14 Makeyev's missile with V-2 performance but using storable propellants. A development became the first Russian submarine-launched ballistic missile. R-12 SS-4 Sandal 8K63 G-2 Designation originally given to Groettrup's G-2 IRBM design. Later reused for Yangel's 8K63, the first operationally effective intermediate range ballistic missile. R-13 SS-N-4 Sark 4K50 G-3 Originally allocated to Groettrup's G-3 IRBM design. Reused for Makeyev's first nuclear-armed SLBM. R-14 SS-5 Skean 8K65 G-4 Originally allocated to Groettrup's 3000 km missile design. Reused for Yangel's 3600 km range equivalent. R-15 G-5 Originally allocated to either Groettrup's G-5 ICBM designed. Reused for Yuzhnoye 1000 km range SLBM, related to the light ICBM later designated R-26/8K66. R-16 SS-7 Saddler 8K64 Yangel's design was the Soviet Union's first practical ICBM, a two stage vehicle using storable propellants. R-17 SS-1C Scud C 9K72 Makeyev's final refinement of the R-11 design, widely exported and infamous around the world as the Scud. R-20 Glushko giant space booster, 2000 tonnes lift-off mass. R-21 SS-N-5 Serb 4K55 First Soviet SLBM with submerged launch capabilities. R-26 8K66 Yangel two stage light ICBM developed 1960-1962, but cancelled. R-27 Serb 4K10 RSM-25 Makeyev SLBM. R-29 SS-N-8 Sawfly 4K75 RSM-40 Designation used for a long family of Makeyev heavy SLBM's. R-29R SS-N-18 Stingray 4K75DU RSM-50 Replacement for R-29. R-29RM SS-N-23 Skif 4K75RM RSM-54 Replacement for R-29. R-31 SS-N-17 Snipe RSM-45 Arsenal SLBM. R-36 SS-9 Scarp 8K67 Designation given to Yangel's heavyweight ICBM and its successors. R-36M SS-18 Satan RS-20 Completely different replacement series for R-36. R-38 Small, economical ICBM studied by Yangel as an alternative to Chelomei's UR-100. Both one and two stage variants were considered. Work ended when Yangel was ordered to concentrate on R-36. R-39 SS-N-20 Sturgeon RSM-52 Makeyev heavy SLBM family. R-39M SS-N-28 RSM-52M Replacement for R-39. R-40 to R-45 Probably not allocated. R-46 Super-heavy ICBM designed by Yangel in 1963-1966. The original R-56 super-booster concept consisted of clustered R-46's. R-47 to R-55 Probably not allocated. R-56 8K68 Yangel super-rocket design of the 1960's that competed with the UR-500, UR-700, and N1. GR-1 Global rocket requirement for single-warhead orbital nuclear weapons system. Competing designs were Korolev 8K51, Chelomei UR-200, and Yangel R-36. GR-2 Global rocket requirement for multiple-warhead orbital nuclear weapons system. Competing designs were Korolev N111 Chelomei UR-500, and Yangel R-56. RT-1 8K95 First large Soviet solid propellant ballistic missile developed and tested in 1959-1963, but no production. RT-15 SS-14 Scapegoat (Scamp) 8K96 The RT-15 IRBM used the second and third stages if the RT-2 ICBM. Makeyev designed a submarine-launched version. RT-2 SS-13 Mod.1 Savage 8K98 RS-12 Soviet Union's first solid propellant ICBM developed 1961-1968. RT-2PM SS-25 Sickle 15Zh58 RS-12M Completely different replacement for RT-2. RT-2PM2 SS-27/SS-29 RS-12M1 Solid propellant ICBM set to replace all older models in the first decade of the 21st Century. RT-20 SS-15 Scrooge 8K99 Yangel design for a mixed propulsion solid/liquid ICBM. Cancelled 1969. RT-21 Three-stage solid propellant ICBM. Studies were completed in 1966 - it was decided not to proceed with the concept. RT-22 Follow-on study to the RT-21 for a train-launched solid-propellant ICBM. It reached the stage of an advanced project in 1969. RT-23 SS-24 Mod 1 Scalpel 15Zh60 RS-22 The only rail-based ICBM ever deployed. Developed by Yuzhnoye, deployment from 1988. RT-25 8K97 IRBM using the first and third stages of the RT-2 ICBM. Temp-S SS-12/SS-22 Scaleboard 9K76 Nadiradze design for first solid propellant tactical ballistic missile. Temp-2S SS-16 Sinner 15Zh42 RS-14 Nadiradze design for first operational mobile ICBM. N-1 11A52 Korolev design for a superheavy booster for the Soviet manned lunar, space station, and manned Mars programmes. Cancelled in1974 after four launch failures. N-11 11A53 Korolev design for a heavy orbital launch vehicle that would use the second, third, and fourth stages of the N1. N-111 11A54 Korolev design for a medium orbital launch vehicle using the third and fourth stages of the N1, and the second stage of the R-9 ICBM. UR-100 SS-11 Mod.1 Sego 8K84 RS-10 Lightweight ICBM was the Soviet answer to the US Minuteman and was deployed in larger numbers than any other in history. UR-100N SS-19 Mod 1 and Mod 2 Stilleto 15A30 RS-18 The UR-100N was designed as a replacement for the UR-100 at the end of its ten year storage life. Although it could be installed in the same silos, it was 50% heavier. MR-UR-100 RS-16 Design of Yangel that competed with the UR-100N. Also put into production. UR-200 SS-10 8K81, 8K83 Universal rocket designed by Chelomei to cover the ICBM, FOBS, satellite launch vehicle, and spaceplane booster roles. Flight tested in 1963-1964 but cancelled in favour of Yangel's R-36. UR-300 Not allocated. Allegedly the dash numbers referred to order-of-magnitude payload. UR-400 Not allocated. Allegedly the dash numbers referred to order-of-magnitude payload. UR-500 8K82 GR-1 Chelomei design for a monster ICBM. Flown in 1965, but never deployed. Succeeded by three and four stage space launch versions which continue in use as the 'Proton' series. UR-600 Not allocated. Allegedly the dash numbers referred to order-of-magnitude payload. UR-700 Chelomei super-rocket design for direct manned flight by the LK-700 spacecraft to the surface of the moon. UR-700M Chelomei 1969 super-duper rocket design for launching manned Mars expeditions. The 16,000 tonne booster had an earth orbit payload of 750 tonnes. UR-800 Not allocated. Allegedly the dash numbers referred to order-of-magnitude payload. UR-900 Storable propellant rocket proposed by Chelomei for a Mars expedition using UR-700 components. 51 8K51 R-5M Korolev SS-3 Mod.2 Shyster Pobeda The R-5M was Korolev's modification of the R-5, resulting in the first Russian nuclear-tipped missile. 51 11A510 Vostok 11A510 Korolev SL-5 Version of R-7 launch vehicle with Vostok second stage and unknown third stage used only twice to launch prototype RORSATs. 51 11A511 Soyuz 11A511 Korolev SL-4 Sapwood Soyuz Standardized launch vehicle designed to replace a proliferation of earlier models (8K72, 8A91, 8K74, 8K78, 11A57). 51 11A511L Soyuz 11A511L Korolev SL-4 Sapwood Soyuz 11A511 with reinforced second stage, large fairing for earth orbit test of LK lunar lander. 51 11A511M Soyuz 11A511M Korolev SL-4 Sapwood Soyuz The Kozlov filial of Korolev's OKB-1 design to launch Soyuz 7K-VI manned military spacecraft. Cancelled. 51 11A511U Soyuz 11A511U Korolev SL-4 Sapwood Soyuz Standardised orbital launch vehicle derived from the original R-7 ICBM that was launched in the greatest numbers in history. 51 11A511U2 Soyuz 11A511U2 Korolev SL-4 Sapwood Soyuz Soyuz 11A511U2 used synthetic kerosene ('Sintin') in first stage for launch of premium reconnaisance satellite and manned payloads requiring just a bit more payload than the standard 11A511 could offer. Further use of the 11A511U2 abandoned in 1996. 51 11A512 Korolev Unknown allocation. 51 11A513 GR-1 Korolev Scrag FOBS version of GR-1. 51 8K513 GR-1 Korolev Scrag ASAT version of GR-1. Little has emerged about Korolev's ASAT project, designed in competition with Chelomei's in 1961-1964. 51 11A514 Soyuz 11A514 Korolev SL-4 Sapwood Vostok Version of Soyuz launcher with increased payload, designed to launch Soyuz R military reconnaisance satellite. Cancelled along with the Soyuz R project in 1966. 52 11A52 N1 1964 Korolev SL-15 The N1 launch vehicle for the N1-L3 lunar landing mission. 53 11A53 N11 Korolev The N11 would use the second, third, and fourth stages of the N1. 54 11A54 N-111 Korolev The N111 would use the third and fourth stages of the N1, and the second stage of Korolev�s R-9 ICBM. 55 11K55 Soyuz 11K55 Korolev Version of Voskhod designed to launch Sever manned spacecraft. Never went beyond design stage. 56 11K56 Soyuz 11K56 Korolev Version of Voskhod designed to launch Sever manned spacecraft. Never went beyond design stage. 58 11A58 Korolev Unknown allocation. 59 11A59 Polyot 11A59 Korolev SL-10 Polyot Two stage version of Vostok 11A57. Used for flight test of prototype Chelomei ASAT. 61 8A61 R-11 Korolev SS-1 Scud First Russian ballistic missile using storable propellants. Developed by Korolev OKB, then Makeyev OKB spun off to develop Army and SLBM derivatives. 61 8K61 R-11FM Makeyev First Russian submarine-launched ballistic missile. Range 150 km with 967 kg warhead. Following protracted testing the design was accepted by the military in 1959 but never put into operational service. 62 8K62 R-5 Korolev SS-3 Mod 1 Shyster Military production version of R-5 IRBM. 63 11K63 Kosmos 11K63 Yangel SL-7 Sandal Kosmos 2I Series production version of satellite launcher based on Yangel R-12 IRBM. 63 8K63 R-12 Yangel SS-4 Mod.1 Sandal The R-12 was the first operationally effective intermediate range ballistic missile, the first Soviet missile deployed with a thermonuclear warhead, and the first mass-produced missile in history. 63 8K63U R-12 Yangel SS-4 Mod 2 Sandal Universal version of the R-12U, for pad-launch or from the 'Dvina' silo complex. 64 11K64 R-16 Yangel Tsiklon-1 Space launch version of R-16, never went beyond design stage. 64 8K64 R-16 Yangel SS-7 Mod 1 Saddler The Soviet Union's first practical ICBM, a two stage vehicle using storable propellants. 64 8K64U R-16 Yangel SS-7 Mod.2 Saddler Standardised version of R-16, for either pad or silo launch. 65 11K65 Kosmos 11K65 Yangel SL-8 Skean Kosmos 3 Initial serial production version was the Kosmos-3, built at the Krasnoryarsk Machine Factory. Flew only four times, with two failures, before being succeeded by the modernized production version under the responsibility of NPO Polyot. 65 8K65 R-14 Yangel SS-5 Mod 1 Skean The R-14, with a range of 3600 km, was the only missile of that range class to be fielded. A key element in the Cuba missile crisis, it thereafter was part of the nuclear deterrent targeted at NATO and China. 65 11K65M Kosmos 11K65M Yangel SL-8 Skean Kosmos 3M Definitive and prolific production version of satellite launcher based on Yangel R-14 IRBM. 65 8K65U R-14 Yangel SS-5 Mod 2 Skean Universal version, for pad-launch or from silo complex 'Chusovaya'. 66 8K66 R-26 Yangel Two stage light ICBM developed 1960-1962, but cancelled so that Yangel could concentrate his efforts on the R-36. 67 11K67 Tsyklon Yangel SL-11 Scarp Tsiklon Space-launch version of the R-36. 67 8K67 R-36 Yangel SS-9 Mod 1 Scarp Yangel's R-36 ICBM was the largest ever built. 67 8K67P R-36 Yangel SS-9 Mod 4 Scarp Multi-warhead version of R-36. 68 11K68 Tsyklon 3 Yangel SL-14 Scarp Tsiklon-3 Space-launch version of the R-36. 68 8K68 R-56 Yangel Yangel �super rocket� design. 71 8K71 R-7 Korolev SS-6 Mod 1 Sapwood Original design and flight test model of world's first ICBM. 71 8K711 8K711 Korolev Korolev project. 71 8K712 Korolev Unknown allocation. 71 8K713 GR-1 Korolev Scrag ICBM version of GR-1. Article number sometimes erroneously given as 8K73. 71 8K71PS R-7 Korolev SL-1 Semyorka Relatively unmodified R-7 ICBM test vehicles used to launch first two Sputniks. 72 8K72 Luna 8K72 Korolev SL-3 Luna R-7 ICBM with single-engine upper stage used for early Soviet unmanned lunar shots. 72 8K72K Vostok 8K72K Korolev SL-3 Sapwood Vostok R-7 ICBM with single-engine third stage, uprated from Luna launch vehicle and with forward fairing to accomodate Vostok/Zenit sized spacecraft. 73 8K73 8K73 Korolev Korolev project. Possibly designation for variant of GR-1. 74 8K74 R-7A Korolev SS-6 Mod 2 Sapwood Semyorka The R-7A was an improved version of the R-7 first ICBM, and the one actually deployed to pads in Baikonur and Plesetsk. 75 8K75 R-9 Korolev SS-8 Mod. 2 Sasin ICBM developed by Korolev OKB using liquid oxygen/kerosene propellants. The Soviet military favoured storable propellants as advocated by Glushko and implemented by Yangel and Chelomei. 76 8K76 R-9 Korolev Improved version of the R-9 with Kuznetsov engines in first and second stages. Development undertaken, but cancelled in favour of basic version. 77 8K77 R-9 Korolev Version of R-9 with vacuum-isolated liquid oxygen tanks to provide capability to hold ready for instant launch. Studied but never developed. 78 8K74 Molniya 8K78 Korolev SL-6 Molniya Four stage rocket based on the R-7. The draft project was completed on 10 May 1960. 78 8K78L Molniya 8K78L Korolev The Molniya 8K78L was designed by Korolev's design bureau for launching a manned spacecraft on a flyby of the Moon and return to earth. To achieve this it would have used Lox/LH2 engines in the third and fourth stages. 78 8K78M Molniya 8K78M Korolev SL-6 Molniya-M Improved Molniya, in variants with Blocks ML, 2BL, or SO-L third stages according to payload. 79 8K79 8K79 Korolev Korolev 1961 design for a single stage military rocket. A competing missile was selected for the requirement. 81 8K81 UR-200 Chelomei SS-10 Universal rocket designed by Chelomei to cover the ICBM, FOBS, satellite launch vehicle, and spaceplane booster roles. Flight tested in 1963-1964 but cancelled in favour of Yangel's R-36. 82 8K82 Proton 8K82 Chelomei SL-9 Proton 2 Two-stage giant ICBM. Test flown but never deployed. 82 8K82K Proton 8K82K Chelomei SL-13 Proton 3 Three-stage space-launch version of the UR-500, authorised in the decree of 3 August 1964. 83 8K83 UR-200 Chelomei Global rocket version of UR-200. Would place nuclear warhead into orbit, which would approach United States from any direction at low altitude and be deorbited with little warning time on on enemy targets. 84 8K84 UR-100 Chelomei SS-11 Mod.1 Sego RS-10 Lightweight ICBM that was the Soviet answer to the US Minuteman and was deployed in larger numbers than any other in history. 84 8K84M UR-100 Chelomei SS-11 Mod.2 Sego RS-10 Improved version of UR-100. 85-89 8K85-8K89 Chelomei Allocated but not used. 91 8A91 R-7 Korolev SL-2 Modified R-7 ICBM used to launch Sputnik 3. 92 8A92 Vostok 8A92 Korolev SL-3 Modernized version of the Vostok booster used for launch of Zenit-2 reconnaisance satellites. 92 8A92M Vostok 8A92M Korolev SL-3 Sapwood Vostok Version of Vostok developed to launch higher-altitude Meteor and other satellite payloads into sun-synchronous orbits. 93 8K93 Korolev Unknown allocation. 94 8K94 8K94 Yuzhnoye Unusual designation for the upper stages of another Yangel project - possibly reflecting design originally was stand-alone IRBM? 95 8K95 RT-1 Korolev The RT-1 (RT = rocket, solid in Russian) was the first large Soviet solid propellant ballistic missile. It was developed and tested in 1959-1963, but no production was undertaken due to its poor performance. 96 8K96 RT-15 Arsenal SS-14 Scapegoat (Scamp) Scamp The RT-15 IRBM used the second and third stages if the RT-2 ICBM. After protracted development in 1961-1970 with a range of alternative self-propelled mobile launchers, limited numbers ('few' to 19) of two types of launchers were deployed in 1970. 97 8K97 RT-25 Tsirulnikov The RT-25 IRBM used the first and third stages of the RT-2 ICBM. 98 8K98 RT-2 Korolev SS-13 Mod.1 Savage RS-12 The Soviet Union's first solid propellant ICBM, was developed by Sergei Korolev and his successor from 1961-1968. 98 8K98M RT-2 Korolev Improved version of RT-2 studied but not developed. 98 8K98P RT-2 Korolev SS-13 Mod.2 Savage RS-12UTTKh Improved RT-2. 99 8K99 RT-20P Yuzhnoye SS-15 Scrooge Yangel mixed propulsion (solid/liquid) mobile ICBM. 11 15A11 Perimetr Yuzhnoye Perimetr was a rocket developed for launch of a highly secret communications payload. This would be be put in orbit or on a long high-altitude trajectory to provide back-up command and control of the strategic forces in the event of nuclear war. 12 15A12 Yuzhnoye Unknown allocation. 13 15A13 Yuzhnoye Unknown allocation. 14 15A14 R-36M Yuzhnoye SS-18 Mod. 1-Mod. 2 Satan RS-20A The R-36M replaced the R-36 in 288 existing silos and was additionally installed in 20 new super-hardened silos. 17 15A17 Yuzhnoye Unknown allocation. 18 15A18M2 R-36M2 Yuzhnoye RS-20K Launch vehicle based on decommissioned R-36M2 ICBMs. 19 15A19 Yuzhnoye Unknown allocation. 21 15A21-15A29 NPO Mashinostroyenia Allocated but not used? 30 15A30 Rokot NPO Mashinostroyenia SS-19 Mod.1 RS-18 Launch vehicle based decommissioned UR-100N ICBMs. 106 tonne liftoff mass with Briz-KM upper stage. 30 15A30 UR-100N NPO Mashinostroyenia SS-19 Mod.1 RS-18 Launch vehicle by NPO MASH based on UR-100N's decommissioned from Ukrainian missile fields. 106 tonne liftoff mass. 31 15A31 NPO Mashinostroyenia Unknown allocation. 32 15A32 NPO Mashinostroyenia Unknown allocation. 33 15A33 NPO Mashinostroyenia Unknown allocation. 34 15A34 NPO Mashinostroyenia Unknown allocation. 36-39 15A36-15A39 NPO Mashinostroyenia Allocated but not used? 41 15Zh41 RT-21 MITT Project work began in 1963 on this three-stage solid propellant ICBM. Five train-launched variants were studied, as well as a silo-launched version. Studies were completed in 1966 but it was decided not to proceed with the concept. 42 15Zh42 Temp-2S MITT SS-16 Sinner RS-14 World's first operational mobile ICBM. Deployed in greaty secrecy in 1976-1987 contrary to the terms of the SALT-2 Treaty. 45 15Zh45 Pioner MITT SS-20 Mod 1 and Mod 2 Saber RSD-10 The missile was given a different DOD mod designation according to the number of warheads - Mod 1 for the single warhead version, Mod 2 for the triple warhead version. 45 15Zh45UTTKh Pioner MITT SS-20 Mod 1 and Mod 2 Saber RSD-10 The UTTKh model featured improved accuracy, range, and MIRV dispersal spread. It was not given a separate DoD 'mod' number. 46-49 15Zh46-15Zh49 MITT Allocated but not used? 50 15Zh50 MITT Unknown allocation. 51 15Zh51 MITT Unknown allocation. 54 15Zh54 MITT Unknown allocation. 55 15Zh55 MITT Unknown allocation. 56 15Zh56 MITT Unknown allocation. 57 15Zh57 MITT Unknown allocation. 58 15Zh58 Topol MITT SS-25 Mod 1 and 2 Sickle RS-12M Containerised all-solid propellant Nadiradze ICBM designed for launch from mobile and silo launchers. Replaced UR-100/UR-100NU in silos. 58 15Zh58 Start-1 MITT SL-18 Topol Launch vehicle based on decommissioned ICBM's. Launched from mobile transporter. Liftoff mass 47 tonnes. 58 15Zh58 Start MITT SL-18 Topol Launch vehicle based on decommissioned SS-25 ICBM's (differs from ICBM/basic Start-1 in having second stage used twice, in tandem, for increased payload). Launched from mobile transporter. Liftoff mass 60 tonnes. 71 17F71 Gals Reshetnev Communications Perhaps in error. 73 11F73 Soyuz VI Kozlov Manned Spacecraft Also allocated to successor project, Chelomei Almaz OPS+TKS considered as a single complex. 732 11F732 Soyuz TM Korolev Manned Spacecraft Covers all modernised Soyuz projects: Soyuz 7K-S, Soyuz T, Soyuz TM, Soyuz TMA. 76 11F76 KSI Chelomei Manned Logistics Return capsule for Almaz.